Splat Fishing Techniques from Learn To Catch Catfish is an ebook covering in depth details on locating and catching channel and blue catfish using an incredibly simple technique. 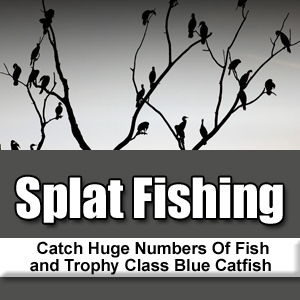 Splat fishing is known for producing amazing numbers of fish and trophy class fish as well. When splat fishing is done correctly it is an amazingly simple technique. In this eBook Chad Ferguson, owner of Learn To Catch Catfish and professional catfish guide covers in depth all of the details you need to locate and catch catfish using this simple effective but effective techniques.